FAQ Board This board is where some of the most informative and helpful Frequently Asked Questions we get here at ThirdGen.Org are put for easier reference. This IS NOT a general question board. I wrote another similar thread before (now edited to this) and decided that since i just did the swap, i would clean that post up and add more info and pics. This is what i know about the rears and swap from lots of time searching and my recent experience. The 4th gen rears retain all of the third gen stuff, all shocks/springs, panhard bar, lower control arms and such. If you lower the car, get an adjustable panhard bar to recenter the rear… if not it will kick out on the driver’s side. Mine did that with an eibach pro-kit. LT1 and LS1 A4 cars had either 2.73 or 3.23 rear (gotta check that out) and T56 cars had a 3.42. The LS1 rear is preferred in a lot of cases because of the brakes that usually come with it. They are pretty big at 12inch and big single piston calipers and work good. Up until '99, the 10 bolts had Auburn posi units..(from the best of my knowledge) which is a clutch type posi that needs limited slip additive. 99+ Ls1 cars had Zexel Torsen differentials which are great for strip performance. Although some SS model cars from 99+ did have options for the Auburn unit. Zexen diffs dont have clutches which can wear out in a short amount of time. Just another advantage of the zexel differential. The 93-97 4th gen rears are 3.8" wider from hub to hub so the stock thirdgen wheels will stick out some. A lot say that its even with the fender lip so its not all that bad. Some stick out abit past. the 98+ rears are abit shorter, at about 3.5 inches wide they say, but my measurements are showing more like a 3.125 inch difference. LS1 rear is about 64 3/4inch long and 9 bolt was 61 5/8. Below you can see my pics, its even with the fender lip. Also, the rears are available with traction control or without out it. These are called 4 channel rear ends for traction control, and 3 channel rearends without traction control. Since thirdgens don’t have ABS or traction control it really doesn’t matter which type rear you get performance wise. However the brake lines on the rear will be different. The rears with traction control and abs have split separate lines and don’t connect to a T block like the 3 channel and factory thirdgen disk brake rears...so if you get a 4 channel, you’ll want to run new hardlines from the calipers to a T block on the rear end, just like factory thirdgen disk brake cars have. You should be able to reuse your factory disk brake cars rubber line and Tblock and just screw in the new hardlines to the 4thgen calipers. Several members have done this. (82-83 cars might have different fittings for the hardline on the car from what I read, so you might wanna check that) Just measure the new hardline lengths, which should be about 18-20inch on the drivers side and 26-30 inch for the passenger side. Check which type fitting ends they have. i'm not sure on this one. Also check to see if your factory lines will work…I have heard it works as well. 3 channel rearends have brake line setups like our thirdgen cars. The lines run from calipers and meet at a T block on the rear and the rubber line from the T block just screws into the factory thirdgens hardline fitting. My rear was a 4 channel but I had 3 channel lines put on. My car is a 89 with 9 bolt rear end with factory PBR calipers/11.65 inch rotors . LS1 rear was direct bolt on from suspension stuff to the brake lines. i reused my stock proportioning valve and the car seems to stop great! just like before if not better now! LS1 98+ rears go here for Ebrake cable info. It covers part numbers, custom brackets and such. Basically, The Bendex P/N# C1621 are the ones to get, but I guess they are discontinued? So use Tru-Torque# C94597 which are 1460mm long. Page 2 of the bottom link goes into good detail on these cables and mods. Also you can use the stock LS1 cables if you mod them as mentioned in the link. I am not running cables yet, and probly will be buying the ones mentioned. If you have a 93-97 rear, go to a parts store like advance auto, or pep boys or whatever, and ask for e-brake cables for a 90-92 camaro with rear discs. this will give you the right cables. you'll need two. The 90-92 F-bodies used identical rear disc brakes as the 93 to 97 4th gens. A lot of ppl use the 91 or 92. Get the first design, as there are two I believe. Jack up the rear of the car and support the body with 2 jackstands. Place 2 jackstands under each of the axle tubes. using the jack under the rear end, carefully balance it and jack it up a bit and pull the shocks out of the rear end, shocks will just hang there. move the 2 jackstands that were under the rear end. As you carefully lower the rear end, grab the coil springs as they will start to fall out. roll the jack with the rear end out from under the car and place it somewhere. Put the 4th gen rear on the jack and roll it under the car. jack it up about level with the shocks and place the jackstands under the rear. Bolt up the Lower control arms. And just start bolting everything else back up. Last edited by Orr89RocZ; 11-15-2006 at 10:35 PM. One other thing - spares! I know the stock spare from a 1992 RS won't fit over the LS1 brakes. This may mean that the 15 inch wheels may not fit either - I don't know. You'll have to hunt down a spare that will fit over the LS1 rear brakes - probably a 4th gen spare would do the trick - I'm trying to find a spare now myself. 4th gen guys run 15's all the time on their cars at the strip... so a 15 should work fine. Last edited by Orr89RocZ; 11-03-2006 at 02:03 AM. FOR 93-97 REAR SWAPS ONLY!!! i would like to point out something. the only thing you need to do this swap is the e-brake cables. if you pull the rear as a complete unit, you can use the stock t-fitting and screw your hardlines from each caliper into the fitting. also, you shouldn't need any brackets, but if you do, keep in mind 4th gen rears had little wire brakets on the top to hold the cable out of the way. you can re-use those. and as far as longer or shorter, i'd get longer. you can tuck them out of the way later. also, the adjustable panhard bar is a must if you are lowering the car. all of the lug nuts, fittings, bolt locations, and everything else fits the same way. the master doesn't need to be changed, and unless you're positive it would function better with the disc prop valve, leave that side of the system alone. trust me: it WILL stop on a dime when you do this swap. I am suffering from some confusion. I have a 3rd gen drum brake rear end on my 1989 camaro. I now received my 2001 camaro zexel-torsen rear end ( with traction control ). I will not be doing the install myself due to not experienced enough. My mechanic is complaining, asking me for extra parts to hook this up. The way I understand it, the main problem is that I have only one line going to the back of the car , and two brake lines on the 2001 rear end. Could you shed some light on what parts I had better buy to enable my mechanic to bolt it all together ? We're located in Belgium , so reliable feedback on camaro troubleshooting is hard to come by here. 15" rim will not fit on the rear with out slight grinding of the calipers. Actually it will seem like it fits until you try and spin it, will make very bad grinding noises. 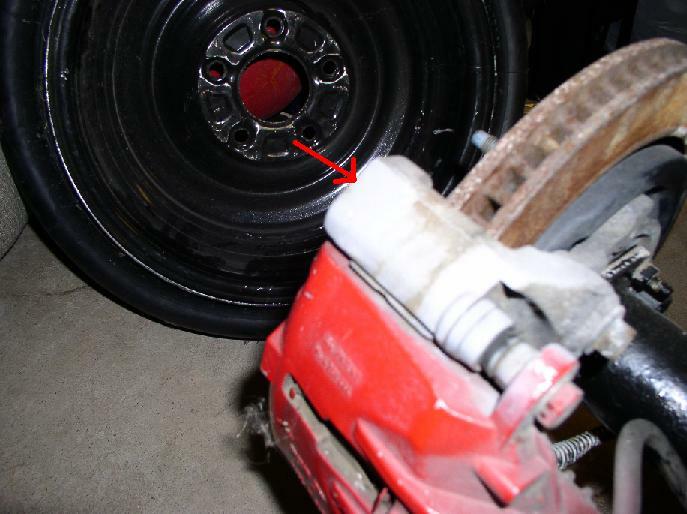 is it possible to completely unbolt the brake assembly(backing plate, caliper mounting bracket, calipers, rotors, etc) from the 4th gen rear end and bolt it directly onto a 3rd gen rear after removing the entire drum assembly? or that isn't possible to do is it passable to do it with the disc brake assembly from a 91-92 camaro which i hear are the same? Last edited by Boosted_SS; 02-03-2007 at 08:18 PM. In regard to brake systems for the 93-97 rears. I'll have a '95 4thgen Disc rear to put in my '88 IROC that came with rear drum brakes. What will I need to convert with brake lines, T-block, calipers etc. I think the rear I'm getting has all the brake stuff with it, will I just need to get a disc proportioning valve and get the lines done or is there more to it? the flex line that connects the left and right line on your stock rear you can reuse, i replaced mine because i broke it accidentially. the ebrake cables wont work (from drums) or from the new one i was told to get the whole ebrake setup from the donor car. i bought a generic gm proportioning valve for either disk or drums. the fittings on the new one didnt work it was designed for a flared line, where as yours had a seat not for flared lines, so i had no choice but to reuse the stock valve. the brake light on the dash came on because the valve wasnt working correctly ( i need to bleed it some more). i need help finding ebrake cables that will fit . oh the rear didnt lockup so far. on the stock valve. I think the rear I'm getting has all the brake stuff with it, will I just need to get a disc proportioning valve and get the lines done or is there more to it? the part numbers are listed above or in the links provided. since u have a 94 rear, it should only take the 91-92 first design style ebrake cable to get it working. also depends on the ebrake hookup by the trans..if you have the adjustable one or not. Last edited by Orr89RocZ; 08-12-2007 at 10:13 PM. i just wanted to verify this. I just installed 15x8 prostars on my rear end. You need to grind the hell out of the calipers to get the wheels to clear. I even used a 5/16 inch spacer for more clearance and still had to grind. If you dont have fresh brake pads, you dont have to grind as much. I'd get new pads first just so you know how much room you'll need as new pads are thicker and will widen the caliper assembly. Once you get them to fit somewhat nicely, grind some more off to account for heat expansion of the calipers. take it for a test drive and heat them up to see if they start grabbing the wheel. I have a 1987 Z-28 and just got done swapping my 3rd gen rear for a 4th gen rear and am very happy with it. I also changed my master cylinder for a 4 wheel disc brake master and am going to install a wilwood proportioning valve for the rear brakes, it definitly needs it. My stock 15" wheels would not fit so I ordered Center Line 17"x9.5" for the rear, with 6.5" backspace and 17"x8" with 4.5" backspace for the front. I was fortunate to find a 1998 rear with a locking 3:42 unit in it. I used a set of wagner E-brake cables listed for a 1987 Camaro with 4 wheel disc brakes (PBR calipers if they ask) but I do not have the numbers on hand at the moment. If you need them I can get them. I did have to open the rectangular opening on the caliper end, not a big deal, it took less than 2 minutes with a dremel and a stone grinding bit. That was it. I was able to run the cables over the rear and right into the stock center cable, although I did have to unsrew the adjuster bolt about 2 inches. I hope this sheds some light for those of you who wishes to venture into the almost unknown. P.S. Do NOT grind anything, plan on buying wheels that will clear from the beginning. Measure from the center of the hub to the outside of the caliper and multiply by 2 to obtain the clearance you need. Last edited by robsryd; 05-26-2008 at 08:52 PM. Ive heard of some people getting the LS1 brakes to fit on the 15in rims. It's possible I guess. The interference does seem to be minimal. So I reckon with spacers you might be able to make it work. so how come people say it will come out like 2 inches on either side, but yours looks like mine is right now? Axle/Gears: 86 IROC Posi, ????? I have had experience with both the torsen and the auburn differentials, and I would much rather have the clutch style than the gear type, which would be the auburn. Why?? Because I'd rather be able to move after it breaks! Yeah the clutches can burn out on an auburn, which is usually the most common failure, but even if this happens, you can still drive the car. You only turn one rear wheel, like an open diff, but you can still go. On the other hand, most failures that occur in the torsen units are catastrophic in that if you break any part of it, you wont be able to drive very far, if at all. Also, say you only crack the case for the spider gears in the torsen, you can still drive a little while, but the whole time you are, those misaligned gears that are becoming more and more loose due to the cracked case, are eating away at everything they are touching...which could damage your ring and pinion, or any bearings as well. ok, i tried to search, but this is all i found. does anyone know the difference between the 1st design and 2nd design for the 90-92 disc parking brake cables? is length the only difference? we're waiting to get our recently purchased 91 z28 with a 97 10 bolt swapped in. we haven't received it yet because the seller is having trouble getting it safetied. he can't figure out what parking brake cables to use. also, the car originally had a drum rear if that poses any problems. it shouldn't be an issue - use cables from a 92 Z28 with disc rear. should work just fine. as for 1st and 2nd design, you're reffering to the calipers, which doesn't matter since you're using a 97 4th gen rear. there was only one caliper design for the rear, and that's the PBRs. so use the brake cables from a 92. I believe there is a difference in length but i cant be certain. I think the main difference was the end cable for the parking brake lever. I think it has a different shape to fit a different handle. From what I posted above, it appears the 1st design is what you need. 1) the calipers - on a 93-97, it's PBR calipers with external parking brakes. this is also the same caliper used on the 92 Z28. the caliper ends are the same, and since the body of a 91 and a 92 is the same length, there is no difference in the length cable you need. Also, the other end of the cables, which clips to a metal bar in the middle of the chassis in the trans tunnel, is the same as the ones on the stock cables of any 3rd gen car. 2) the track width of the rear is roughly 1.75" wider on each side. so the wheels stick out a little farther. this is why you either deal with the tires sticking out or run new wheels, or 4th gen wheels. this has absolutely 0 bearing on what cables to run. so - go to your favorite parts store, and tell the geek at the counter you need brake cables for a 92 Z28 with rear disc brakes. If you are using a 97 disc rear, they will work, and they will fit. 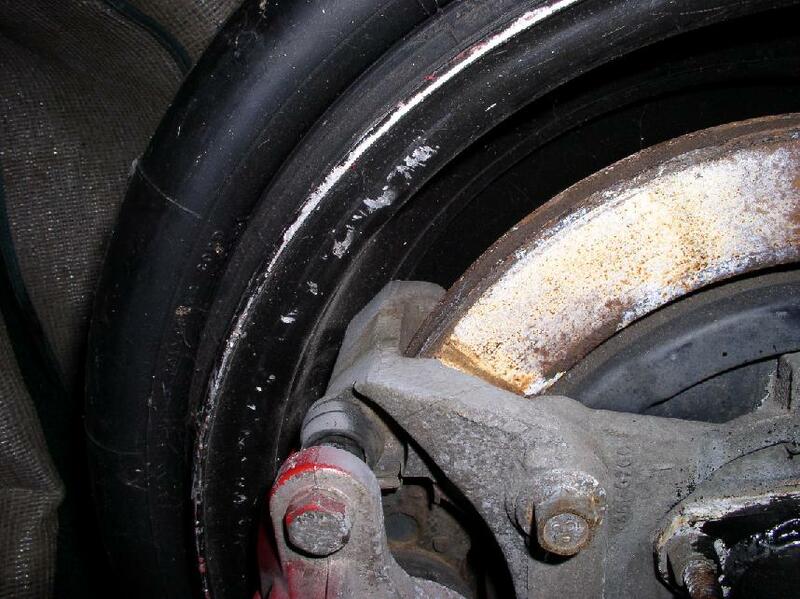 to clarify further - the drum brakes your car HAD is irrelevant. rest easy. as for 1st/2nd design.... that refers to when they switched from the original iron rear calipers to the newer, better aluminum PBR calipers. so to make life easy, since the 92 cars onlyhad one rear caliper option, the PBRs, ask for brake cables from a 92 Z28. if they ask you what length, get the longer ones. some stores carry 2 different lengths for some reason. Last edited by flyitlikustolit; 06-24-2009 at 08:20 PM. Car: 92 rs 25th ann. Did any of the 4th gen rears have drum brakes, (I found some drum part #s) and are they the same rear end as the disc brake 4th gen? In other words can I swap from disc to drum with a 4th gen rear end? Why in the heck would you want to do that? you'd be going backwards. I can tell you this - if you find a 4th gen rear out of a V8 car (a factory V8 car) it will not have drums. ever. there were drums on some V6 cars, but even a fair number of those had discs also. Allright I will finish my own thread. I was trying to do a budget third to fourth gen rear end swap on my 85 Z28 HO 383 with a T5. My man Chaz from this site had a fourth gen rear end with posi and the gear ratio that I was looking for and a Hurst short throw shifter that I was looking for. Oddly enough I had a fully built 700r4 that he needed and we lived 2 hrs away so the trade was easy and free parts for both of us, (sweet, hence the words budget build). Allright now that you are filled in on the why, here is the how. The rear end came with now backing plates, hardware, brakes and etc.etc.... Priced out the disc brake option. Even used parts totaled @ $1000. Thats not a budget... So my third gen backing plates had a different bolt pattern than the fourth gen, (I had drum brake) so I went on the hunt for A fourth gen drum set up, nobody continues to carry the backing plates new, (dealers, nor classic industries). So I went internet search used, only found one damaged set from Hawks, so I ordered them but while I am still awaiting them I figured that it wouldn't hurt to see how hard it would be to modify the third gen backing plates to work. The two bottom bolts in the backing plate line right up with the axle holes they just need to be opened up to the same size as the bolt holes in the axle houseing. Put the two bottom bolts in snugly and drill out the backing plate were the top two bolt holes in the axle houseing are. Then just transfer EVERTHING else over and you can literally use all the third gen brake parts, ( NOW THATS WHAT I CALL A BUDGET BUILD), and to top it all off I also have 15" wheels and I get to keep em' and not buying new wheels to clear the calipers is also BUDGET.....!!! I will update a little more when the other backing plates arive. Test drove the car yesterday drives and stops great. And one more tid bit of info yes the fourth gen rear end is about 1.5" wider on each side. Even used parts totaled @ $1000. Thats not a budget... So my third gen backing plates had a different bolt pattern than the fourth gen, (I had drum brake) so I went on the hunt for A fourth gen drum set up, nobody continues to carry the backing plates new, (dealers, nor classic industries). You couldnt find a used set of 4th gen disk brakes for less than $1000? I need to find out where you are at and try selling some. I can get rear brakes for 150 bucks or less depending. I needed EVERYTHING, E-brake backing plates, e-brake shoes and hard ware, calipers and brakets, rotors, 92 IROC cables, pads, hoses, and proportioning valve. Then I still would of had to ditch my new 15" wheels or grind down the calipers till they cleared. None of the local pick n pull junk yards had any 4th gen camaros to pull from. so basically, someone gave you a 4th gen rear but without the brake hardware? then in that case, good on you for adapting it to work, that makes more sense. in the future, when you're ready for an upgrade, check ebay, the "for sale" forum here, and call other wrecking yards farther out from where you are, you'd be surprised at what you can find. the disc brake conversion is well worth it, I promise you, but since that wasn't an option, the drums will let you roll with what you have. the extra width in the back isn't a big deal, honestly. I run 4th gen wheels, and just used the skulte adapters up front. that took care of the issue for me, for now. got any pics? this would make a good tech article for guys having to figure it out like you did, but would make it much easier. as for 1st/2nd design.... that refers to when they switched from the original iron rear calipers to the newer, better aluminum PBR calipers. so to make life easy, since the 92 cars onlyhad one rear caliper option, the PBRs. The first and second designs are different lengths. At any rate the first design, the 1434 mm cable, is the one I used to convert my 85 IROC to PBR's (the second design is 1460 mm, BTW). I've been led to believe that some 89-92 cars had the parking brake adjuster in the tunnel while other did not, which is perhaps the difference in length. Last edited by JamesC; 11-26-2009 at 08:39 PM. Yes, on my 89 there is a parking brake adjuster. The piece that the brake cables attach to its on a threaded rod so it is adjustable for length. yup, same thing on my 82. Welcome to TGO. Every thirdgen car, disc/disc or disc/drum, is equipped with a combination valve, which contains a metering valve, a pressure differential switch and a proportioning valve. GM essentially says that either master can be used in a conversion. That said, each system has a specific combination valve, one designed, I assume, to optimize a specific system, disc/disc or disc/drum (GM, moneymakers that they are, would never manufacturer two valves if one were sufficient). Last edited by JamesC; 01-02-2010 at 06:25 PM. What will you gain from doing this? Is this swap more for drag racing or auto cross type racing? If i get a fourth gen 9 inch ford rear end from spohn do you think it will work? This is primarily a bolt in budget upgrade from stock thirdgen rears. The biggest advantage is getting a fresh rear end with better rear disk brakes for 300 bucks or less. The zexel torsen differentials often found in these rears are better than the clutch type posi's found in thirdgens. THey are better suited for road racing type events but do well in drag racing as well. strength wise they arent much of an upgrade but have been known to hold power in some instances. I've been in the 9's with mine. A 4th gen spec 9" or 12 bolt will work just fine but it will be wider than the thridgen. This is good for 4th gen spec wheels if you want to run them. Else just get a 3rd gen rear. swapping disc brakes areas easy as going to your pull your part and snagging the major parts from a 2000^ blazer but don't take the rotors you can't use the any way,just grab the backing plates,and calipers and brackets easily under $50 dollars. Sounds like a good low buck disc brake swap. Lots of blazers in the yards around here. What rotors would I use for my 92? I would assume it would be the 92 Camaro rotors. I read this thread and you guys say that the longer cables are the ones to use. But I got those and they are to long. So would the shorter cables work fine? I had to use the longer cables with the longer sheaths to get them to work in the stock bracket locations under the car, but the overall wire length was way too long. It was a tight fit, it had to go under the rear end unlike stock. I shortened my adjustable parking brake bracket and then used cable clamps you can get at home depot or lowes to take up the extra slack. They are u-shaped clamps that snug up on the wire. Works for me. So I can keep my 3rd gen rear end and just replace the drum brakes with parts from a 2000 and up Blazer? Pretty much a bolt in affair with no major modifications required? E-brake easy to figure out? The backing plates and brackets bolt up to the existing holes in the axel flanges ok? The rotors I know, would have a different lug pattern. Forgive me but it sounds too good to be true after looking at a complete rear end swap or an aftermarket conversion kit. Anything to save that green. This would be just what I've been looking for. I guess you could keep the proportioning valve if you wanted to, right? Thanx. Transmission: TCI POS DONT BUY TCI!!! I agree with topn01, this sounds waaay too good. (I realize the following are probably dumb questions.) Looking down the road, I'm assuming replacement brake pads and any other replacement parts minus rotors would be found under the Blazer section? And the 3rd gen rotors will work?